When CEO Kong Wan Sing founded homegrown co-working space provider JustCo in 2015, he had to rope in his wife, Liu Lu, and his brother Wan Long to help him grow the business. Today, the company is growing so fast that “our headcount has doubled over the past three months to more than 100”, says Kong. The operator’s headquarters will be moved from 120 Robinson Road to Marina One East Tower, where a space that can accommodate up to 180 people has been allocated. Even with some staff assigned to hot desks instead of a permanent workstation, the team will outgrow that space “in no time because we are going to double again in the next couple of months”, says Kong. 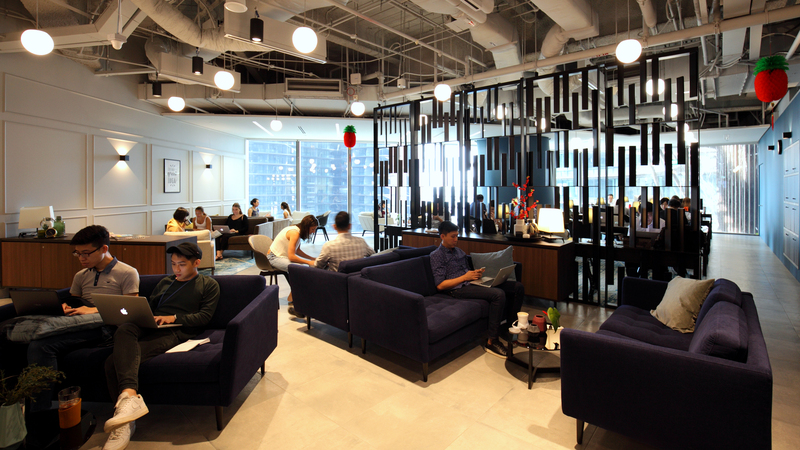 JustCo opened a 50,000 sq ft co-working centre that spans two floors at UIC Building and another 40,000 sq ft centre at Marina One East Tower in 2017. The firm has taken up another 40,000 sq ft in the West Tower of Marina One that is slated to open in May, says Liu Lu, JustCo’s country head for Singapore and China. In July, JustCo will be opening its sixth co-working centre in Singapore on the third floor of Marina Square. It will span 60,000 sq ft and cater for more than 1,000 members. Just- Co will be the first co-working operator to be an anchor tenant at a Singapore mall, says Kong. As the centre is positioned to attract retailers, and companies in the creative industry, it will feature a product showcase area with booths for members to display their products, says Liu.